We travel full time and work on the road. This means that staying connected to the internet is important in our lives. Every day we answer emails, manage our website, update social media, plan our travel, and upload photos/video. It’s a lot of work! We may be location independent, but we are internet dependent. With a TEP wireless device or a “Teppy,” we were able to stay connected anywhere with a mobile signal! We have spent more hours, days, and weeks than we care to admit struggling with crappy WiFi. We find difficulty in staying connected as we’re frequently changing countries, sim cards, and hotels – but that’s the story of any long-term traveler! Of course, it’s always possible to find internet in some way or another, but for it to be a reliable internet connection is another story. Do We Need The Internet? Our day to day routine has now become filled with simple internet tasks that anyone can relate to such as booking rental cars, flights, hotels, driving directions, and even mobile banking while traveling. For us, it’s especially true since our full-time job as travel bloggers require us to stay connected at most times. Daily social media updates, website maintenance, emails, and post research means our daily internet connection abroad is important. While hotels and Airbnb’s often offer free WiFi it can truly be hit or miss. We also enjoy being connected throughout the day and utilize the internet to look up directions, like on our recent road trips around the Ring Road in Iceland and the North Coast 500 in Scotland. We often pick up local SIM cards, but with new destinations and a short amount of time, it’s often impractical to spend long periods in and out of telecom stores. Many countries require a lengthy registration at a specialty store with your travel documents and no one wants to spend their holiday in a mobile company shop. We were recently introduced to our new buddy called Teppy, or our TEP wireless device. 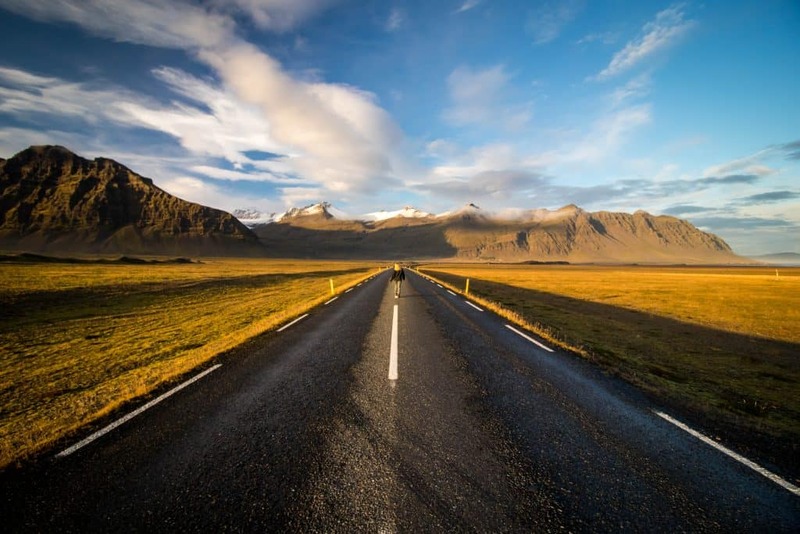 We effectively used it for internet while road tripping around Iceland and can definitely recommend it for staying connected abroad and avoiding roaming charges from your cell phone carrier. Enter our code “TEPON” at check out for 15% off your Tep order! Hotspots are nothing new in this day and age. They act as mobile routers generating a WiFi network using mobile reception and operating off of a battery. Meaning you can surf the internet on your computer from the top of a volcano in Iceland. It’s a great tool for travelers who want to stay connected with their smartphones, travel laptops, or tablets. As long as you are in a location with cell service the Teppy will connect to the local provider and provide you a reliable internet connection for five devices. The set up for our Tep device could not have been more simple. We ordered our Tep device off their website and had it delivered to our hotel in Iceland a few days in advanced. Upon our arrival, our device was ready to go. They included a carrying case, charger, and the device came charged. It’s literally plug-and-play as there is no set up with the WiFi network and the password is displayed on the home screen interface. There is just one button to power the whole device making for an effortless user experience when combined with the fact it can be sent to your hotel in advance before you arrive (just let the hotel know there is a package coming). The Tep device runs off of the mobile network so a large part of your connection is limited to your cell phone reception. In many parts of the world, this will not be an issue. We were pleasantly surprised when we tested out the Tep in Iceland. The device had signal at almost all times and we were able to stream Netflix and surf the web easily. Theoretic data speeds: 100 Mbps when moving, e.g. in a car, 1 Gbps when standing still. The battery life on Teppy is rated for six hours. We never ran out of power with a normal days use, but we also charged it every night. If you plan on heavy usage they offer an additional battery pack. Or you can pick up your own power bank in advance as they make for a great travel accessory. What Countries is Tep Service Available? The Tep device works just about everywhere, except in most of Africa (South Africa, Kenya, Morocco, and Egypt works). It is the reason why it took us so long to finally test one out after a year of Overlanding Africa. If you want to learn more about where the device works and doesn’t check out their site here. 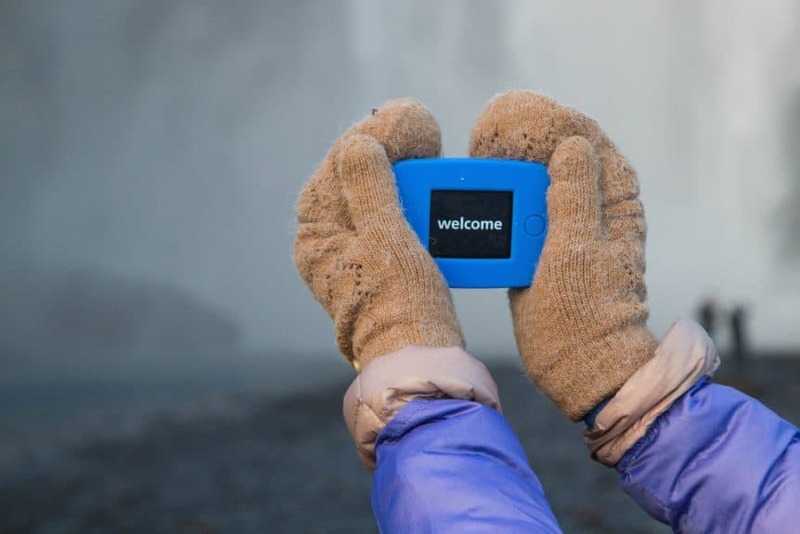 We just used ours while doing a campervan trip around Iceland, which came in handy every night when we wanted to answer emails (and watch Netflix). We reached out to Tep Wireless about reviewing one of their devices a long time ago. It felt relevant to us as we often receive emails and messages from readers about how to stay connected abroad. For backpackers and long-term travelers, we still recommend SIM cards because getting a sim card in a new country usually requires a bit more time and effort. However, I believe that for many travelers planning shorter trips a Tep device is perfect! The only drawback is the price. The average daily cost is $8 a day which is reasonable for business travelers or those with a larger travel budget, but not for long-term or budget travelers. You have the option to rent or purchase your Tep Wireless device. When you purchase the device it comes with three days of WiFi included and the ability to add on days from there is easy peasy. Want to save some money on your Tep?